The Dimplex Detroit is a freestanding electric fire with Optiflame effect, supplied as standard with real coals and white pebbles. 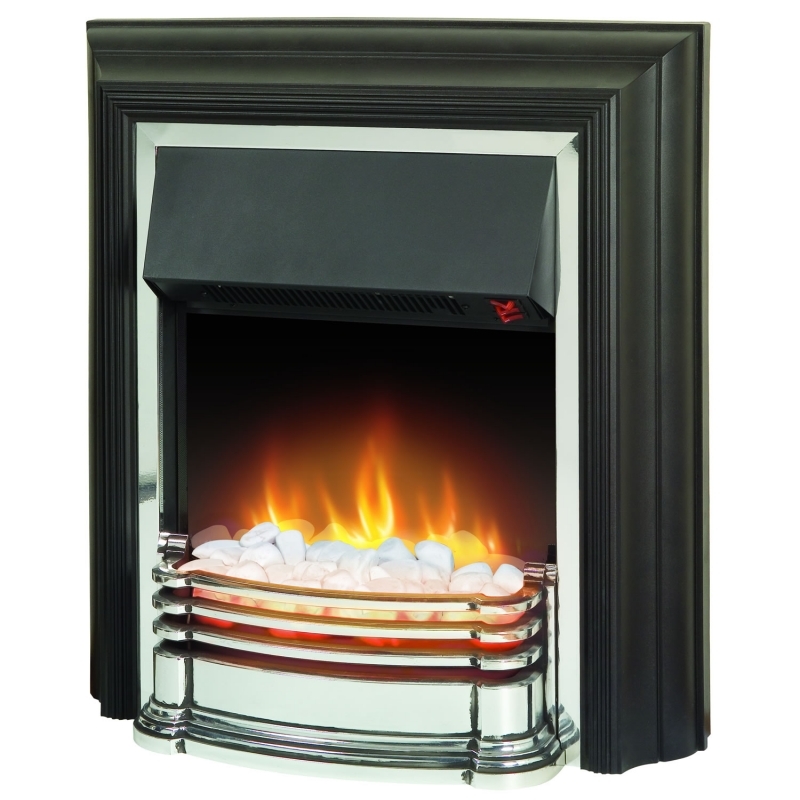 Fits flat to wall, no inset depth required, the Dimplex Detroit fire quite literally is a simple 'plug in and good to go' fire. 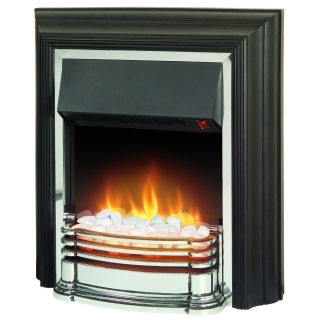 Can be fitted in conjunction with the Dimplex Hearth pad as shown on the image provided.